My name is Neil Azimi, and I am a freshman at Brea Olinda High School. I enjoy playing trumpet in the Wildcat Entertainment Corps. I am enrolled in GITA, all Honors classes, Algebra II, Marching Band, and Spanish 1. My favorite subjects are Math and Computer Sciences, which we are learning C# in this year. You can download Visual Studios to run C# here. you can click on the image to download them. Outside of school, I am a DJ, and I do LA Fitness Events and private parties. 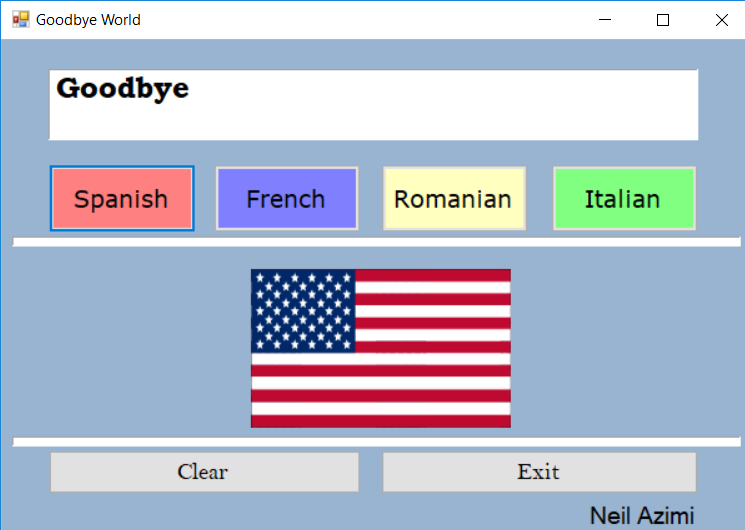 This program translates the word "Goodbye" into four different languages with the use of buttons. 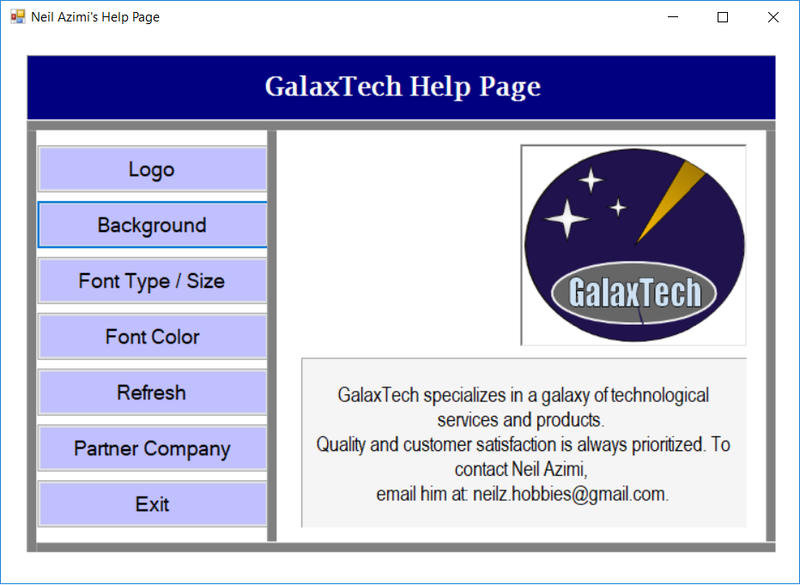 This program is an information page for GalaxTech that has customizability. 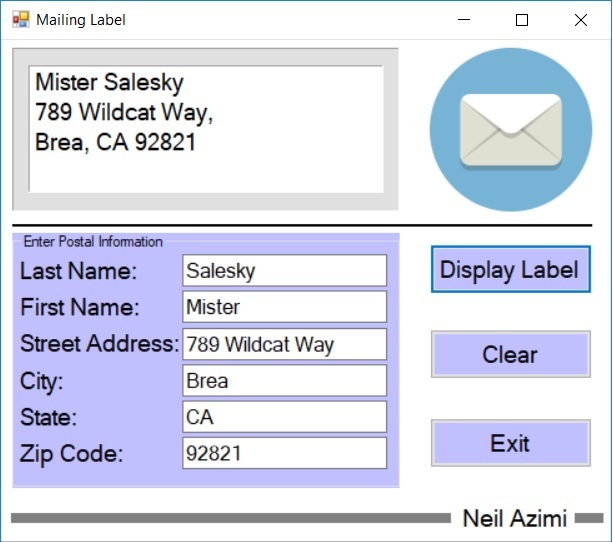 This program allows you to easily create a mailing label by entering information. 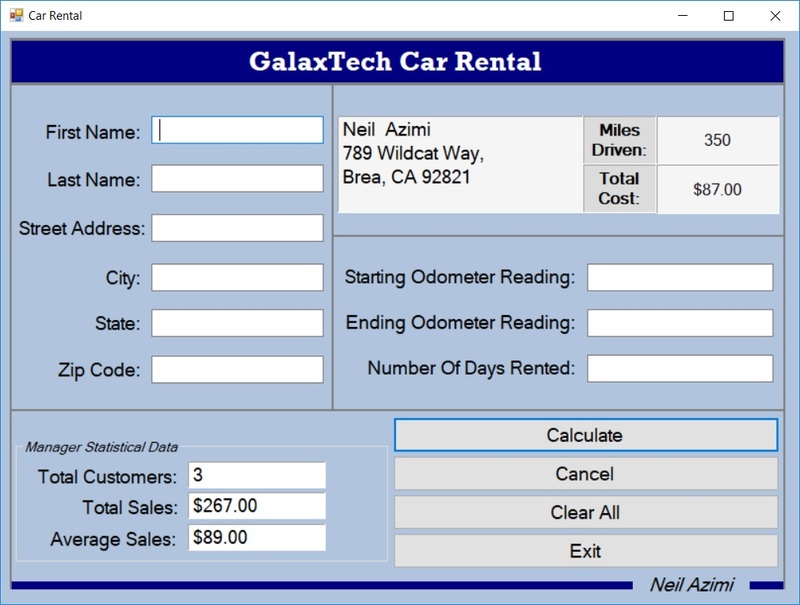 This program is for a car rental service and allows you to rent a car. 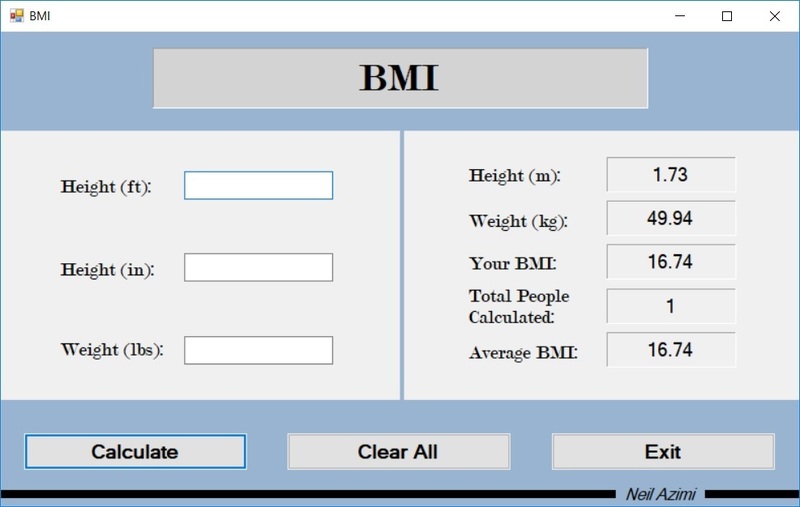 This program calculates the user's BMI (Body Mass Index) based off of provided information. 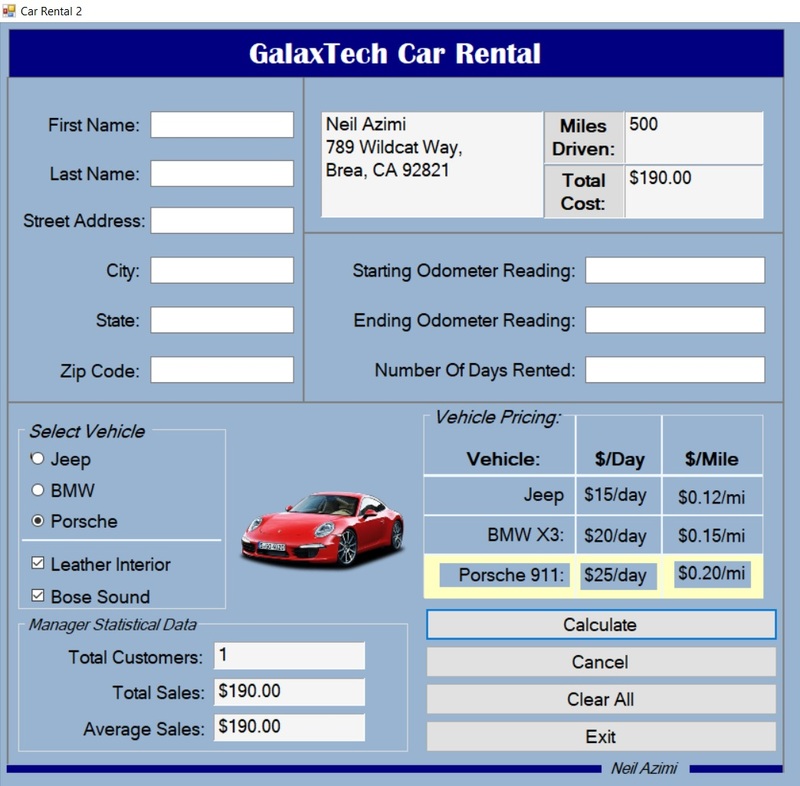 This program is an upgraded version of Car Rental, allowing the user to rent a car using selection boxes and graphics of different cars. 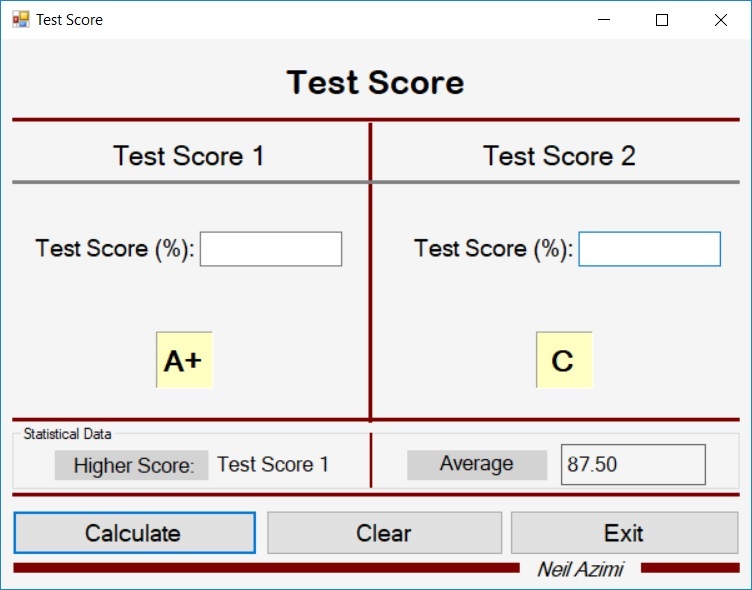 This program calculates what the letter grades of two different test score percentages are. 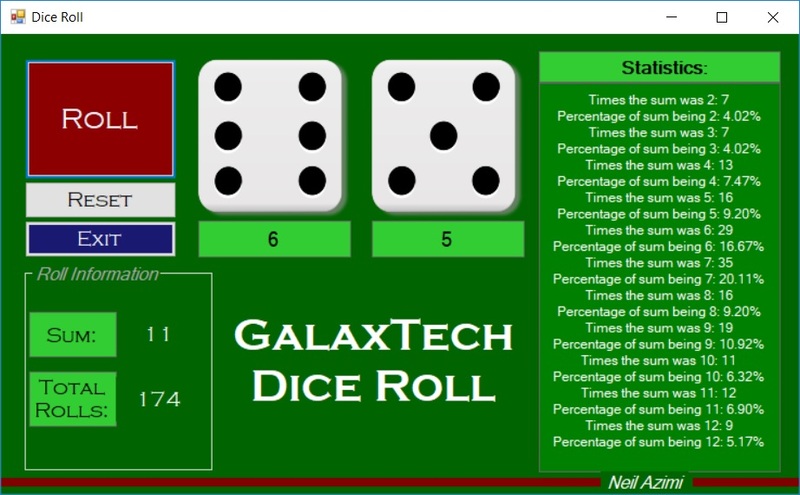 This program rolls two dice and calculates the experimental probabilities of rolling each number. 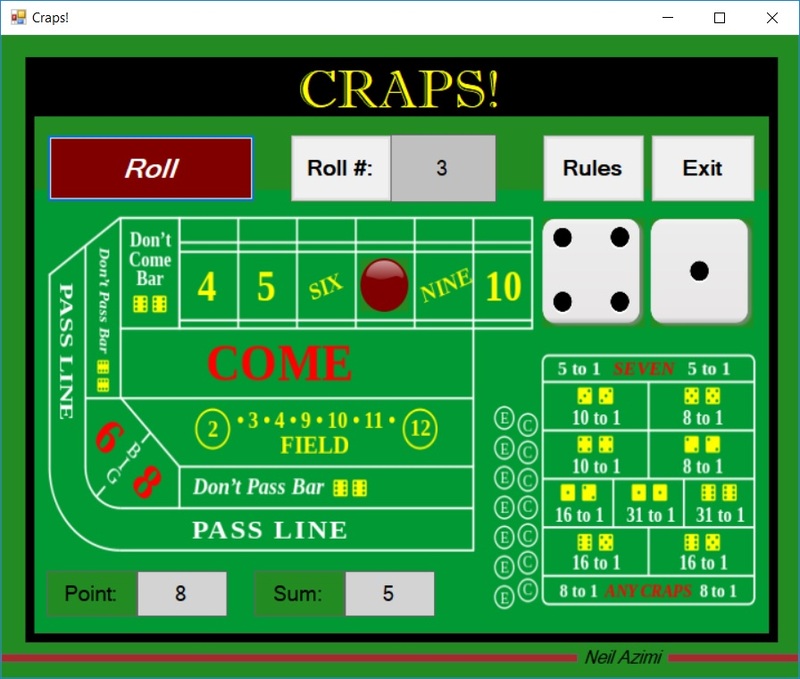 This program is a digital version of a classic casino game called Craps! 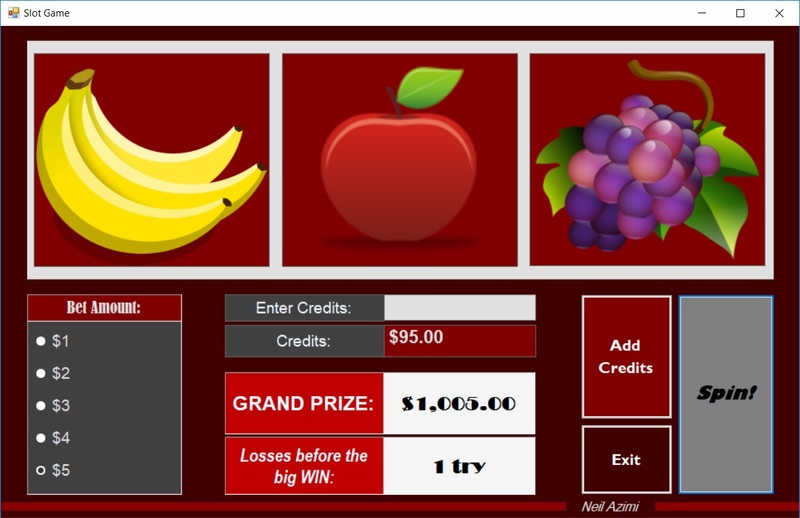 This program is a digital version of a casino slot machine. 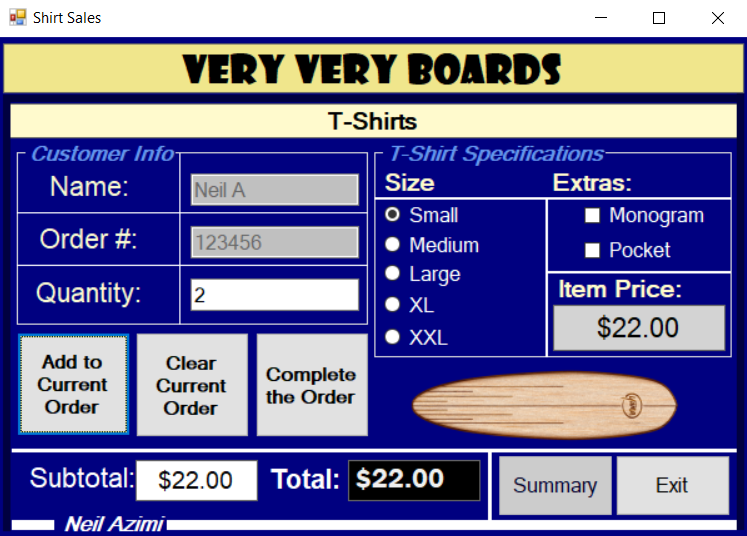 This program is a t-shirt order form and directory designed for Very Very Boards Inc. 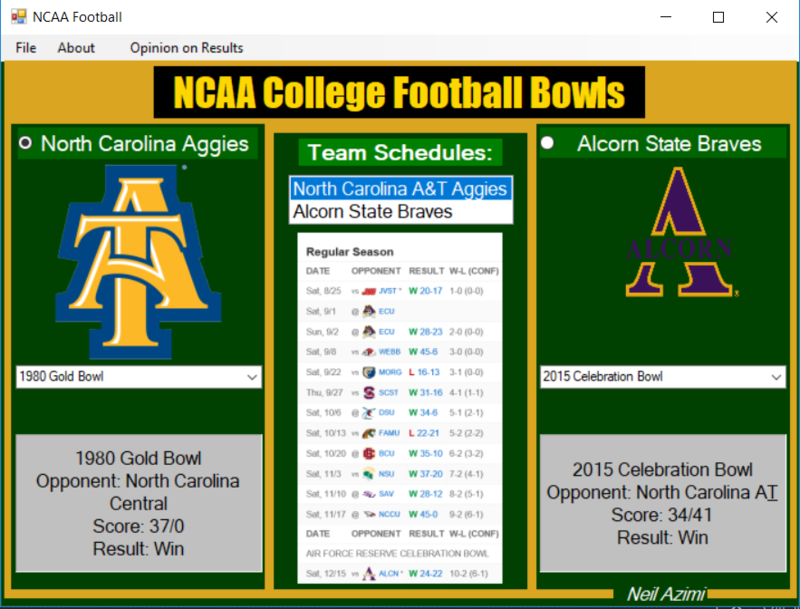 This program displays the NCAA Football Bowl results and information. 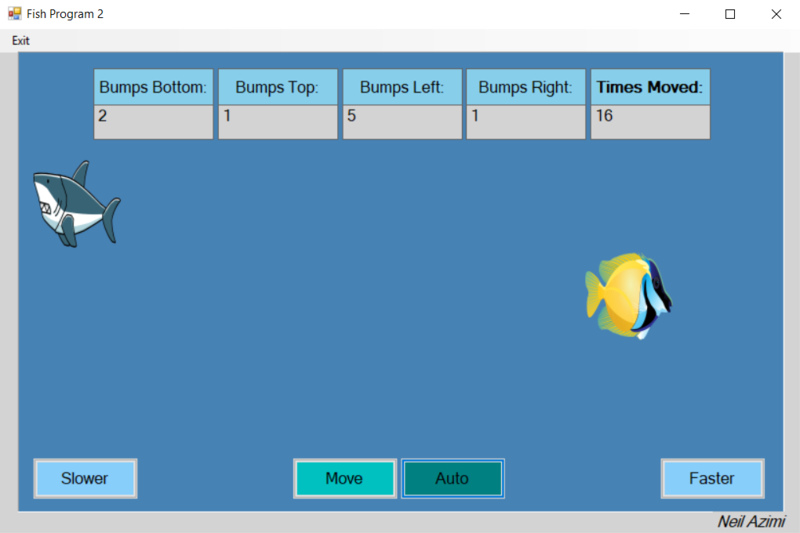 This program allows you to move a fish both manually and automatically, in varying speeds. This program allows you to move a fish vertically and horizontally, both manually and automatically, in varying speeds. 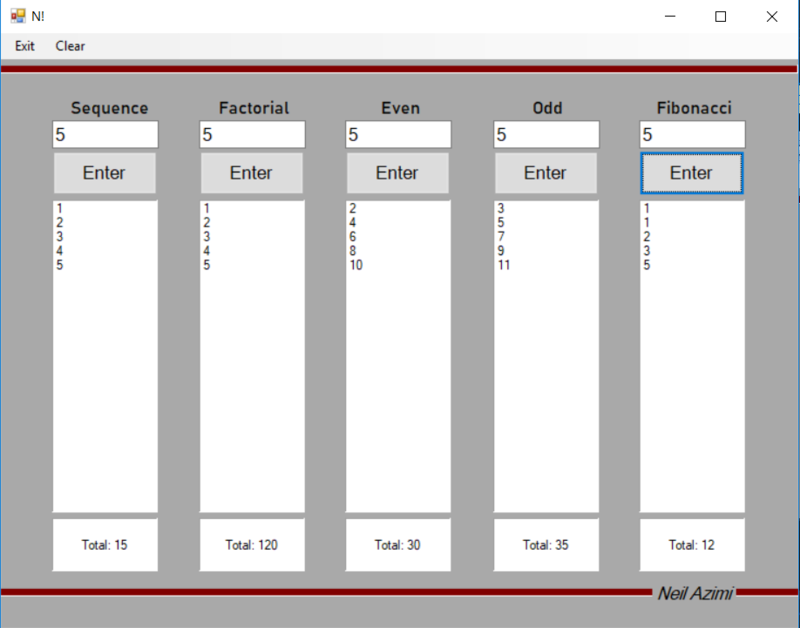 This program intakes a numerical user input and runs it through algorithms, resulting in a sum or product. 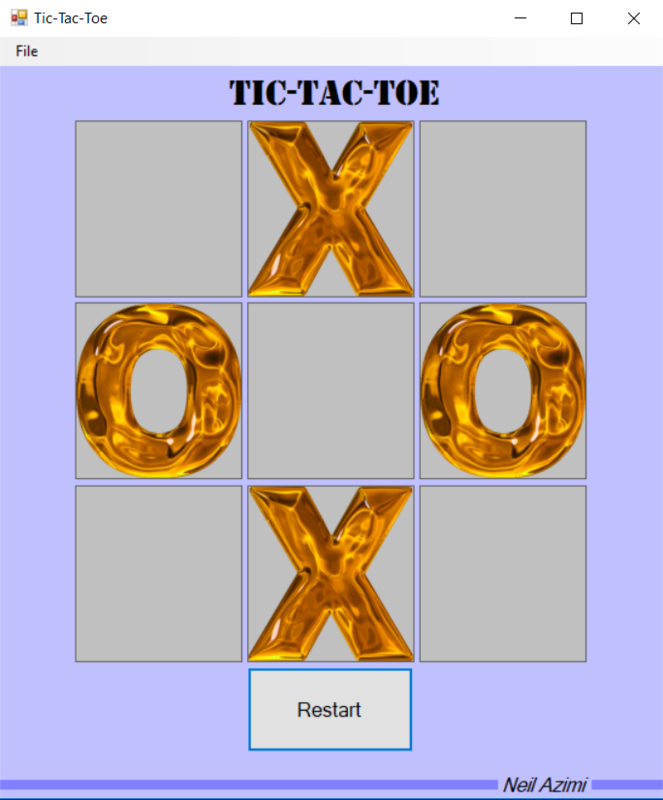 This program allows two players to play Tic-Tac-Toe together, through a series of clicks. This program is a game that requires you to run away from an opponent that follows you. 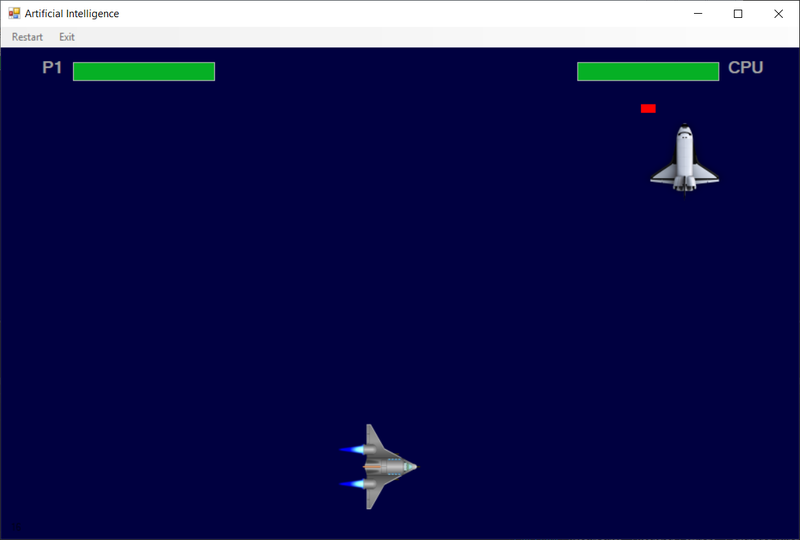 You must destroy the spaceship with a bullet. 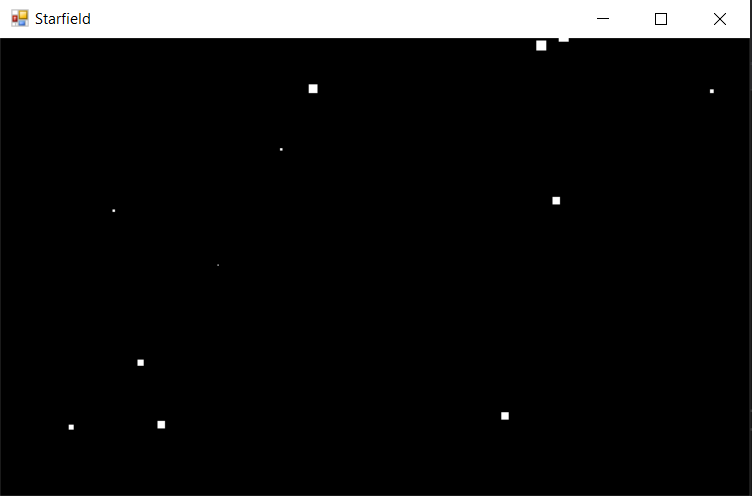 This program is an animation of stars that simulate the experience of moving through space. 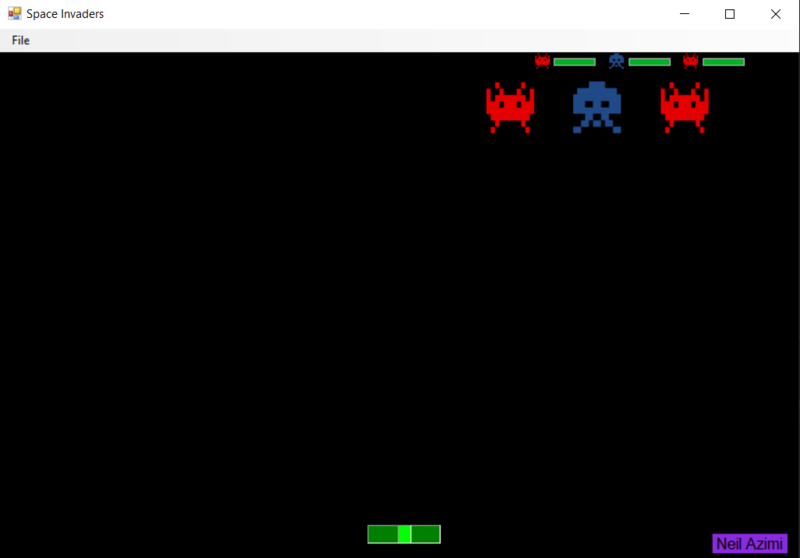 This program is a remake similar to a classic game in which invaders approach you and you must defend yourself with bullets before they reach you. This webpage was designed by Neil Azimi for GITA 1 at Brea-Olinda High School. Product of 2018-2019.